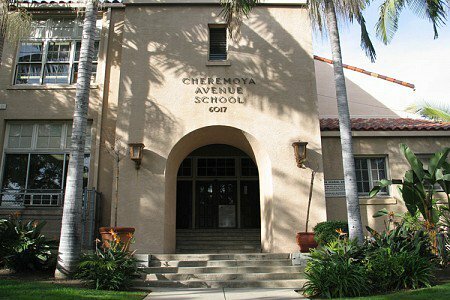 Cheremoya Elementary School is committed to continued and expanded arts education and social-emotional learning through the arts. Students currently receive arts instruction in dance, theater, vocal music and visual arts. We are eagerly awaiting the installation of our kiln for firing ceramics. Every student will design a tile to be installed in our breeze way off the staff parking lot leading to the auditorium. Your donation will support expanded arts programs and materials needed to create student art tiles and ceramics. Why not donate a tile to recognize your culminating student, a staff member, retired teacher or business? All tiles will be installed on the walls leading into our auditorium. 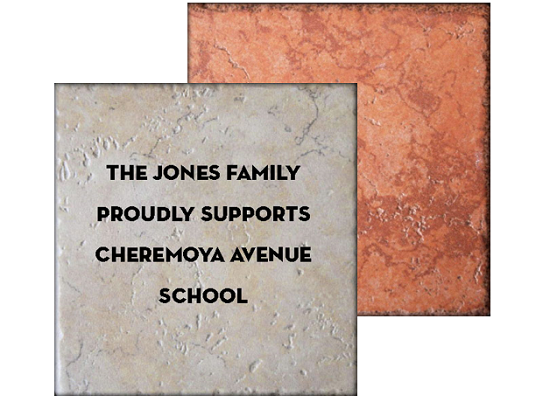 Personal tiles require a $50.00 donation and business tile	require a $100.00 donation. Thank you for keeping the arts alive at Cheremoya!